Stu has taken my call dozens of times over the years with respect to my divorce and child custody matters and never billed me once! He was more than fair with me at the beginnng of my case and once it was settled, he invited me to contact him anytime with my questions. He has always been spot on with his advice. I wouldn't make a move without consulting Stu on this matter or any other legal matter. You've got to choose Stu Grozbean! Good, straightforward lawyer. Will tell you the truth about what to expect. Stuart and I presented no witnesses at my custody trial, except me. I wanted 50/50 visitation and joint custody. My Ex had about 10 witnesses and wanted sole custody with every other weekend visits. In the end I got what I had originally asked for. I get to be with my wonderful kids half of the time, despite all of my Ex's baseless attacks and I have joint custody and completely fair child support. Stuart is honest and sharp. Stuart was excellent in his execution of the divorce strategy and was well prepared for the court hearings. My case was unusual in that my ex-husband was overseas in China and refused to provide his residence address. In addition, since I was the one supporting him prior to divorce, I stood to lose property and assets for pushing for the divorce. That did not happen and Stuart got me what I wanted...an expdited divorce with no loss in assets. Great lawyer, wish I had hired him first! I was very pleased with the service I received from Mr. Grozbean. He hung in there through a lengthy and often bizarre divorce. I wish I had hired him first, I think my divorce would have been over much more quickly. I recommend Mr. Grozbean. He is ruthless when he has to be but is very compassionate to the plight of his clients. He is very knowledgeable and his contacts are invaluable. He stayed during a very long mediation despite being very ill. He is dedicated and will do what it takes to help his clients. The Best Divorce/Separation/Child Custody Attorney in the Washington, Baltimore, and DC Area! Mr. Stu Grozbean is the best Divorce/Separation/Child Custody attorney in the Washington, Baltimore, and DC area in town! He represented me in a nasty divorce/separation/child custody case. I fired my first attorney because she was not on top of her game and was not doing her job. I called Mr. Grozbean and spoke with him directly for about an hour (no fee charged) and we discussed the highlights of my case. Based on that first conversation with Mr. Grozbean I knew I was going to hire him. I had already interviewed about 10 attorneys. I was not going to make the same mistake selecting an inexperience attorney like I did the first time. 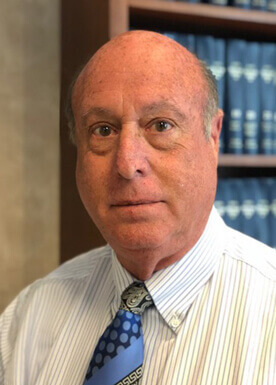 Mr. Grozbean is “WELL” experience, very knowledgeable, and is current on the laws and rulings of cases dealing with divorce/separation/child custody! What impressed me the most with Mr. Grozbean as my attorney is the fact he was very responsive to all forms of communication (you will hear back from him within 24 hours of leaving a message for him) and you talked with him directly. You don’t get a phone call from a legal assistance; you talk directly with Mr. Grozbean. He knew every aspect, detail, and status of my case every time I talked with him. Also I felt I can “TRUST” him 100%. It was not about him making money; it was always about us winning my case! In summary, Mr. Grozbean is a very caring and passionate attorney! When he step into the court room, he has studied your case, researched the facts/laws, discussed his finding and approach with you (so you are not surprised in the court room), give you his honest opinion/recommendations, identified several strategies to represent you (based of his research of the opponent attorney), and most importantly, he is not afraid to fight a battle with the opponent attorney. Because Mr. Grozbean is an “EXCELLENT” Divorce/Separation/Child Custody attorney, I was able to keep 100% of my military retirement and I won every request/demand I requested in my divorce and child custody settlement from my ex-husband. Also, Mr. Grozbean continues to be only a “phone call” away for any advice I need even though it has been six years since I first met him and he represented me during two cases. He is by far, the best Divorce/Separation/Child Custody attorney in town! I have been associated with Mr. Grozbean for over 30 years and he has represented me both personally and in my busisiness. During this association i have found him to very capiable and attentive and one of his best qualities is his ability to take a complex case and make it work. I have found his abilities to cover most any case i have handed him.from contract negoation, Landlord matters and even employment discrimination matters. It seems as though he has the unique ability to "Get it Done" and not drag it out causing additional costs. I can truly say he is outstanding in his field.. I highly recommend Attorney Grozbean. I hired him in 2009 for my divorce.He is on top of his game and without him I would have really had a lousy deal. Not only did my husband agree to settle the divorce out of court, his lawyer told him that he did not want to go to court with Attorney Grozbean. His lawyer said Attorney Grozbean would "nail his balls to the wall" if we went to court. I am able to go to school full time all paid for thanks to Atty.Grozbeans' help with my settlement agreement. I plan on hiring him for my next divorce! He's worth every penny! I have work with Mr. Grozbean since 1985. He has been our company attorney since then and has handled all of my personal matters as well. He has been easy to work with, always explaining all our options and making solid reccomendations has to how best to resolve our legal issues to insure the best value to us as a company. His advice has been timely and right on the mark, saving us time and money. We have spent very little time in court, he usually resolves issues to our benifit well before they get to court thus saving time and money. We have learned to run issues by Mr. Grozbean before they become problems, this approach may appear to be expensive, but the money and time we have saved with his advice more then pays for this advice. Mr. Grozbean has continually provided my defense against a constantly offensive ex-spouse. His efforts replaced my excessively high payments with those that were fair and consistent with the child support guidelines. In addition, Mr. Grozbean has provided invaluable counsel regarding my appropriate response to the hostility from my children which was engendered by my ex-spouse. He has gone the extra mile in providing continuing services even during my unemployment when compensation would have been a hardship. With lifelong thanks and great recommendation for a great attorney. Of all the lawyers I have hired... Stuart Grozbean is the best! I believe Stuart Grozbean is the finest lawyer to have on your side! He has handled my divorce, some civil litigation, and an ugly child custody battle. If it is outside his expertise, he will tell you. He only bills for hours he really works. He does not run up costs needlessly. He actually scares opposing attornies in to stopping nonsense and false allegations. He wrote the child support guidelines for the state of Maryland. He gives great advice that you are a fool not to follow! Downsides: He is busy and he cannot predict or guarantee a particular outcome. But, he will make the time if you are a no nonsense person in need of a great attorney and pay his fees on schedule. I view this lawyer as a great investment... money well spent that helped me gain a great life when others were trying to ruin it. He's the best there is....period!